As VoIP telephony is spreading day by day, connecting old PSTN devices to the VoIP network becomes more and more significant. For this reason, the Ozeki Phone System XE makes it possible to connect your analog phone lines and any other PSTN devices by using an ATA device. If you need a detailed configuration guide please follow the instuctions below. The only way to communicate with an IP PBX is digital. So if an analog phone is connected you need to convert its signal to a VoIP signal. The most common way to do this is using an ATA (Analog Telephone Adapter) which can connect an analog telephone to a VOIP network. The ATA has an Ethernet jack, and an RJ-11 phone jack. You need to plug the phone into the RJ-11 jack and the ethernet cable into the Ethernet jack. For connecting your analog phone to your PBX, you need to connect the ATA to LAN with an UTP cable and plug the power supply cable to the socket. Moreover you need to connect your analog telephone line to the appropriate ports and finally connect the telephone to the ATA by using a phone cable and plugging it into the proper ports (Figure 1). In order to connect your desktop analog phone to Ozeki Phone System XE as a VoIP phone, first you need to create a SIP Extension. You can find detailed guide about how to create a SIP Extension here. In order to use your analog phone you need to complete some settings within your ATA (Analog Telephone Adapter). 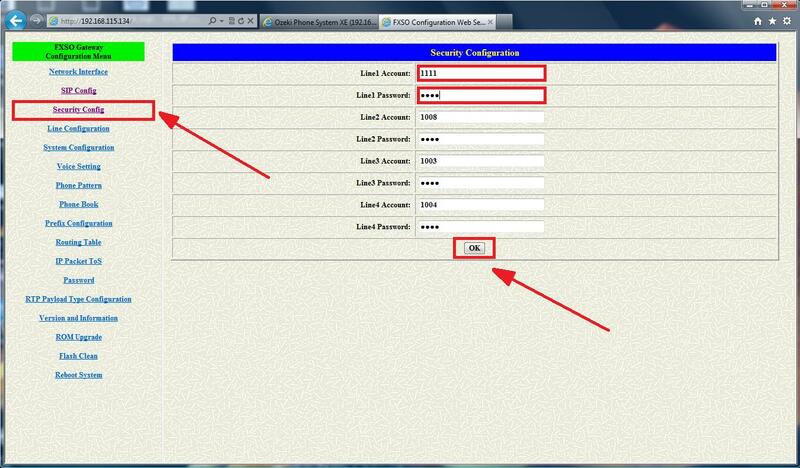 For this purpose, open the configuration page of the device by entering its IP address into the web browser. You need to specify the SIP account details (the IP address of the PBX, username, authorisation name, password) that you have provided in the Ozeki Phone System XE earlier. Figure 2 demonstrates the configuration process through the example of Linkpro ITG-S422. After opening its configuration page, select the 'SIP Config' menu item then enter the IP address of your Ozeki Phone System XE into the Primary Proxy IP Address editbox. Click on the 'OK' button. After that select the Security Config menu item, where you need to enter the authorization name of the ATA into 'Line1 Account' textbox and provide its password in the 'Line1 Password' row. Click on the 'OK' button (Figure 3). By default, every extension can call every other extension. You can read more about the supported ones here. if you would like to call telephones in PSTN or GSM networks, you need to set up Standard connections within the Outside lines panel, and you also need to set Outbound routing rules within the Dial plan panel (since the called party is not on the list of Standard extensions in the PBX). it is also possible that there are incoming calls from the PSTN or GSM networks. In these cases, you need to add Inbound routing rules to forward them to any of the extensions. if a call is not answered by the destination and you wish to forward that to an another extension (for example to a Voicemail), you need to add new Missed call rules. to send and receive SMS messages, you need to add new Message routing rules. You can read more about dial plans and call routing rules here. In order to make a call, dial the phone number of your new extension by using an other extension of your VoIP network. (In our example the No. 1100 softphone extension dialed the new No. "1001" Desktop VoIP Phone extension.) 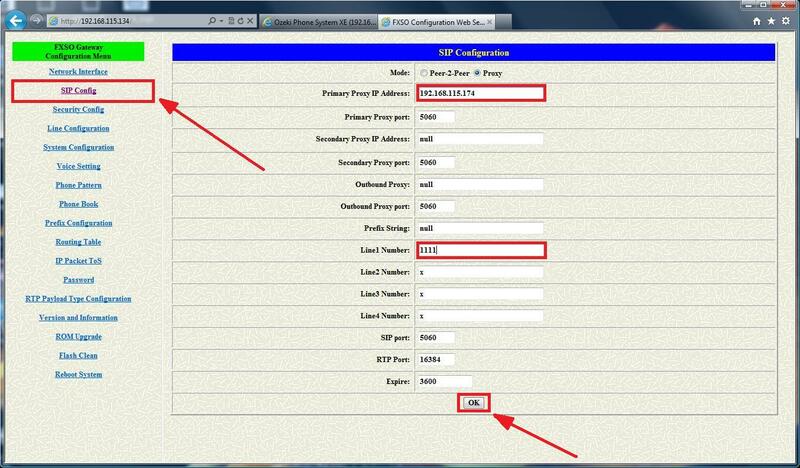 Figure 4 shows that the whole call process can be tracked in the Log panel of your extension. 'Incoming call received' message indicates that an incoming call is in progress. 'Call established' message shows that the incoming call has been answered. After finishing the call, the 'Call completed' message will appear. The guide above demonstrated that conventional analog phones can be easily connected to the Ozeki Phone System XE. If you follow that step-by-step, you will be able to install a PSTN phone line, configure your ATA and create a new SIP extension quickly. That is it. Having done these simple steps, your phone will be ready to use.